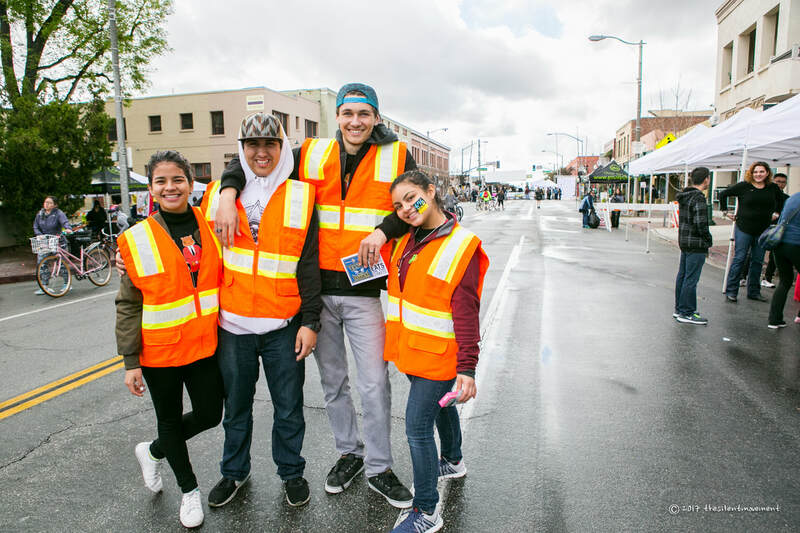 Given the multi-city scale of any 626 Golden Streets event, a team of over 200 enthusiastic volunteers is needed to stage miles of open streets for walking, biking, skating and more! This people-powered event is only possible with the help of amazing volunteers. If you are interested in becoming a volunteer, please fill out the form below and you will receive an email with further instructions. Warm feeling associated with knowing YOU made 626 Golden Streets happen! Are you a member of larger group or business that is interested in lending a hand? Volunteer groups are eligible for special benefits (while supplies last) such as complimentary booth space at an event hub. Please email our volunteer coordinator if you are part of a larger group.